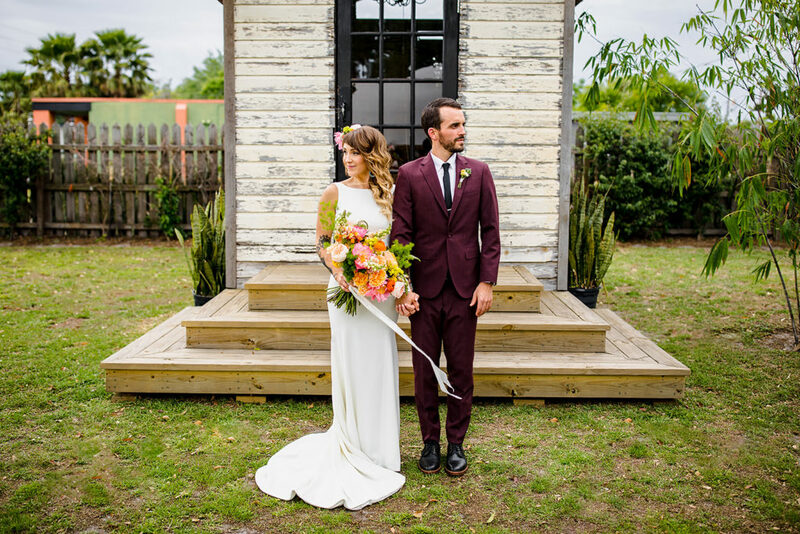 We’ve designed a bouquet or two in our years of wedding planning and floral design. 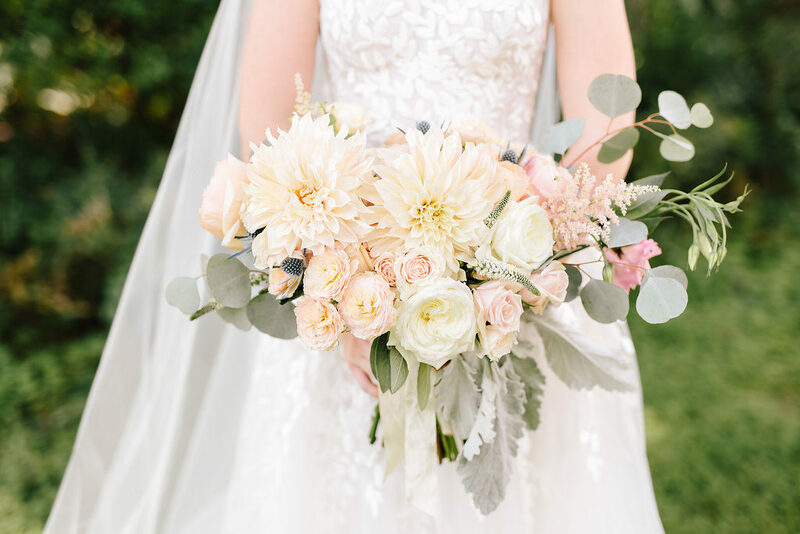 When creating the perfect bouquet for a bride, it’s important to figure out what type of bouquet they want. Are they wanting an arrangement that is mostly floral based or do they want more greenery? Do they want an oversized, large bouquet or a smaller and more dainty one? 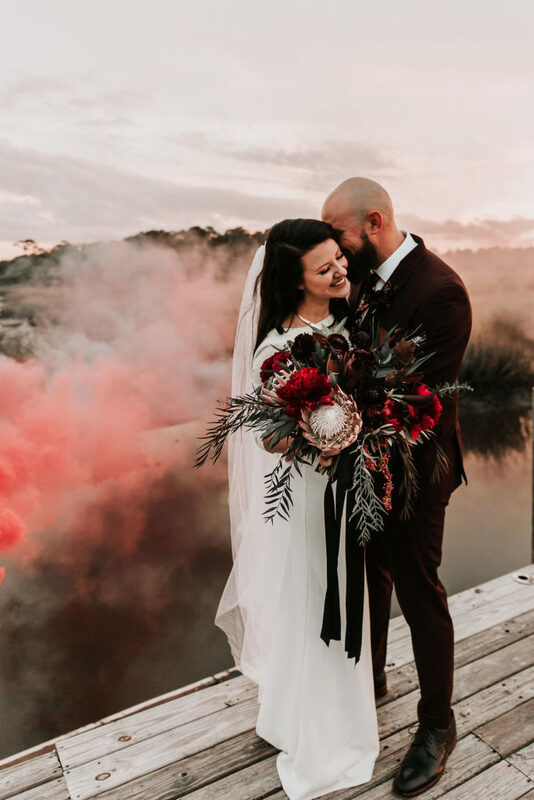 There are so many different combinations and styles when it comes to bouquets, so we compiled a list of some examples of bouquets we’ve done in the past to give you a glimpse into all the possibilities out there! 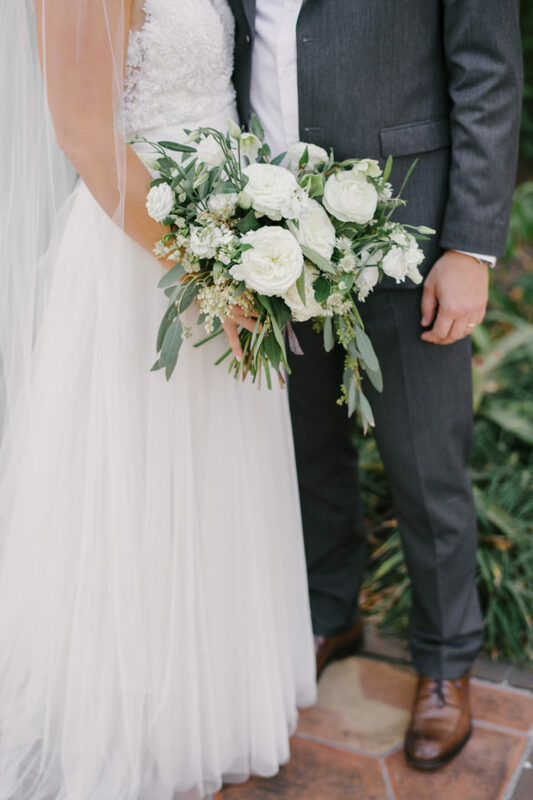 We love bouquets of all shapes and sizes, and determining the best fit for your style and floral needs will be based upon personal preference. Hope this helps you narrow down what you’re looking for when communicating your floral needs! These over-sized bouquets tend to be your statement pieces. They’re typically characterized by an array of large blooms, a mix of greenery, and you’ll notice that their width is really what stands out. 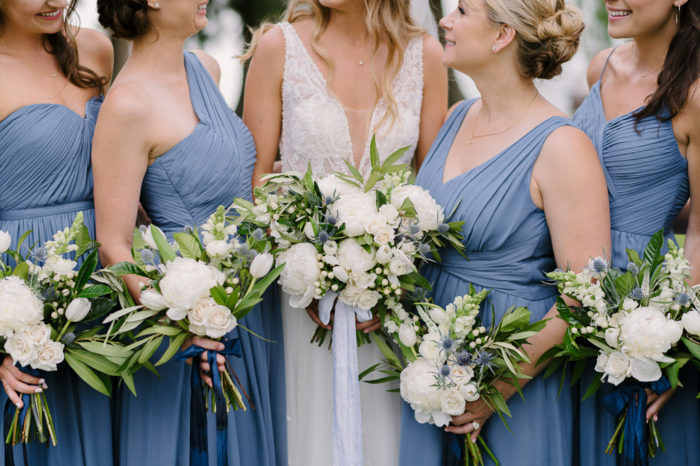 When choosing a large bouquet, it is important to take into account the style of our wedding gown as the bride, and also your own stature as you don’t want your bouquet to compete with you for attention. 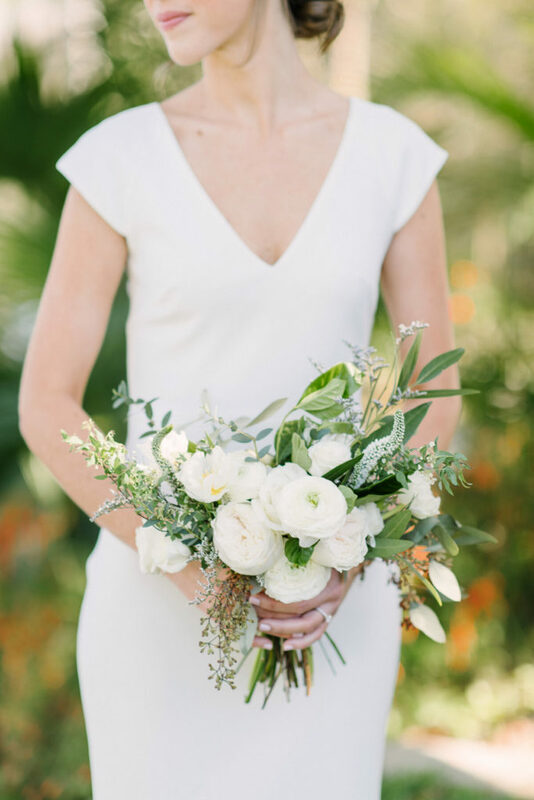 We love a dainty small bouquet just as much as we do their over-sized counterparts. 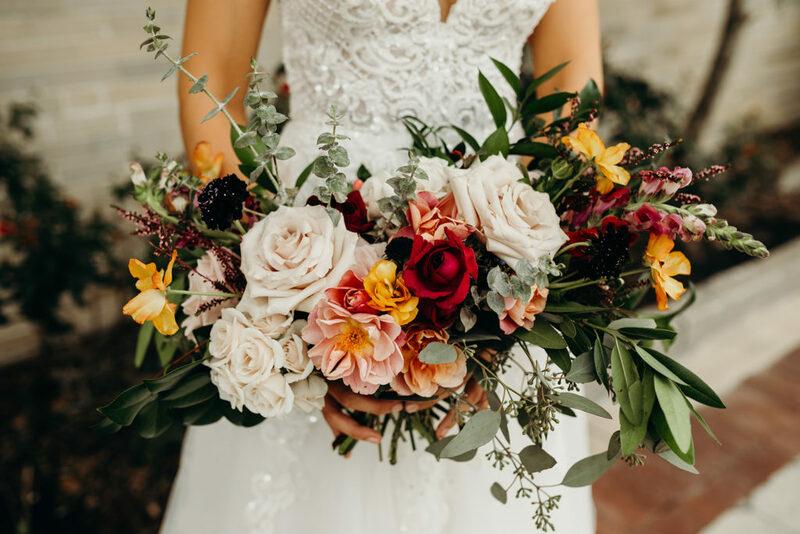 You can still pack a punch in a small bouquet with variety, color, and texture, but for some wedding (and bride) styles, a small bouquet is the perfect fit! 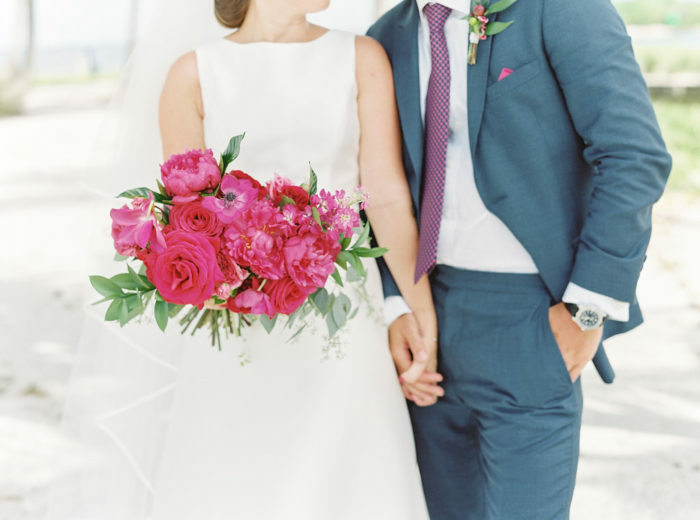 Whether monochromatic or full of colors and textures, the floral heavy bouquet is exactly what it sounds like. 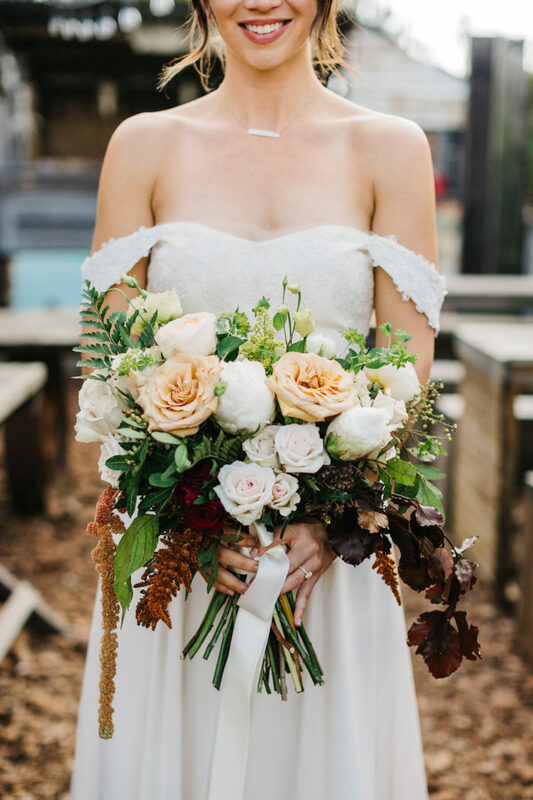 If you’re looking for a more classic bridal look or clutching a bouquet of lush blooms is more up your ally, we love creating unique options for our brides that makes these bouquets so unique to them! 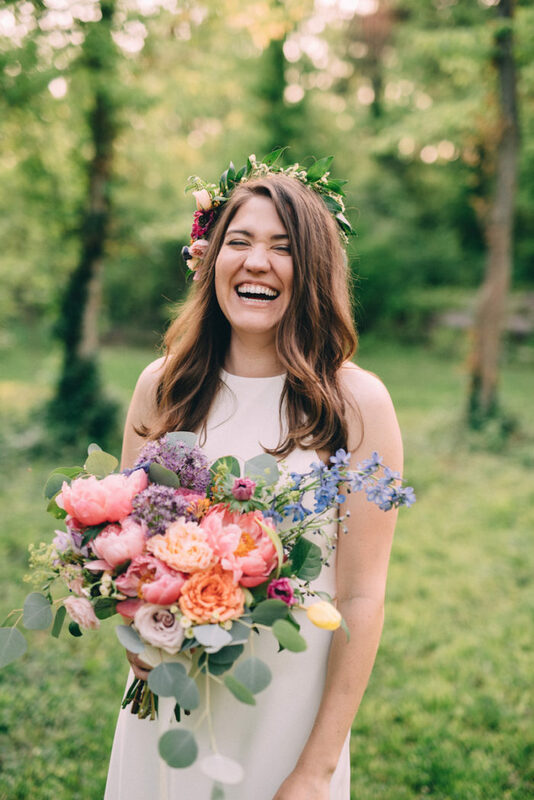 Greenery-based bouquets are always fun for the more organic and natural styles that our brides may choose, and tends to lend itself to a more ethereal look. 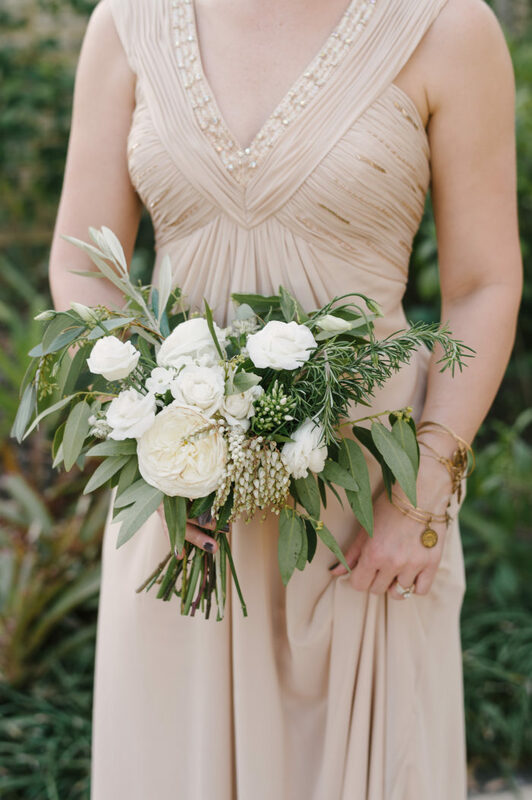 Whether looking for something that is simple or understated or creating a beautiful wow factor, a greenery-based bouquet can help you achieve that bouquet goal. 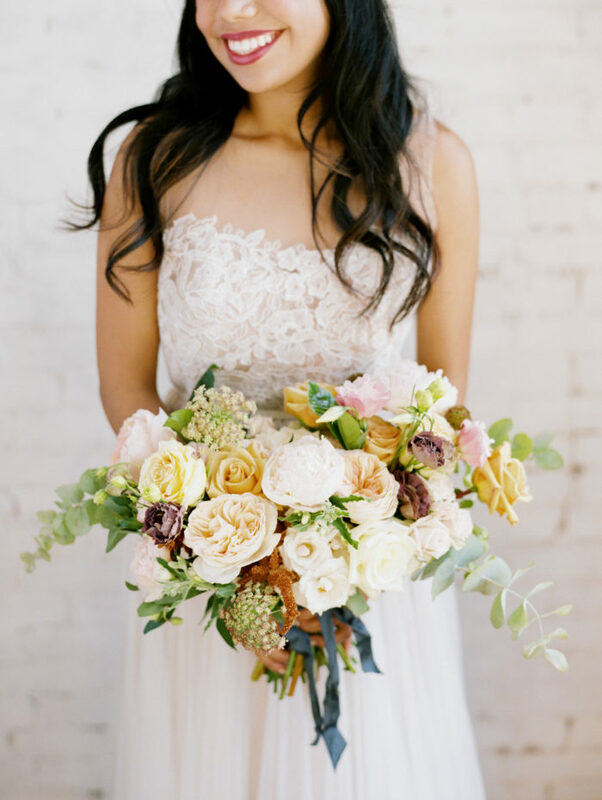 We love guiding our brides through this process in selecting the best bouquet style for their event. 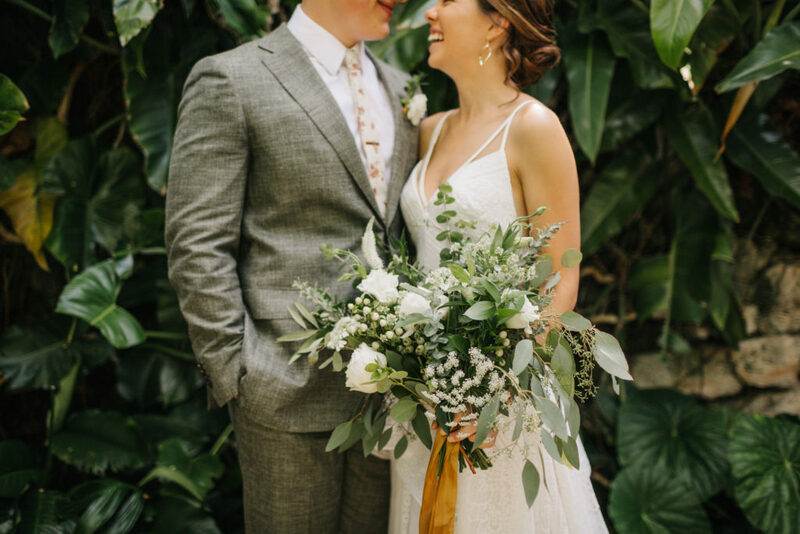 Every bouquet we make is unique, and adds the perfect statement piece for the couple and the style of their wedding. Now we want to hear from you! 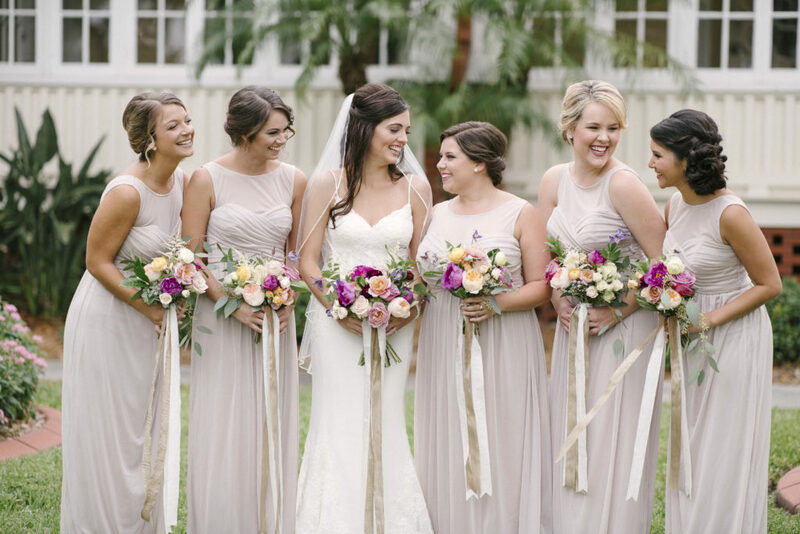 What is your favorite bouquet style?